As usual there's no provenance on this so there's a lot of speculation that this is from China, like most other cowries are since that's we're they are found. 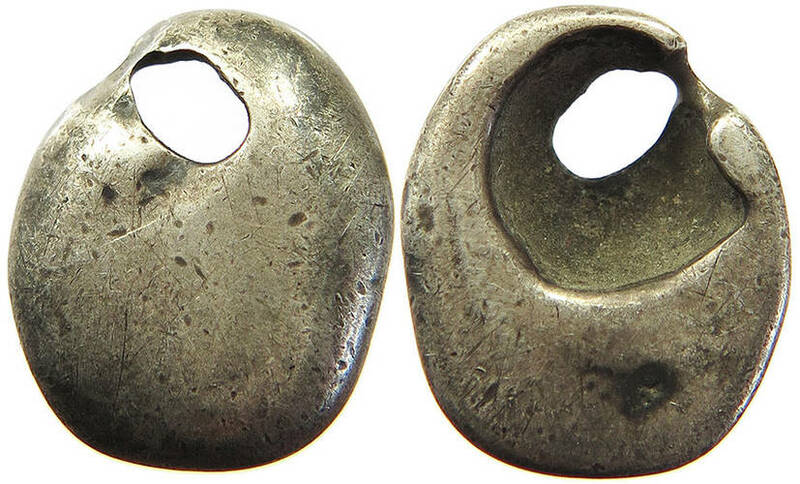 This 16 mm, 4 gram silver cowrie takes the form of an archaic period holed cowrie and is well worn in the hole. Rare, and compare to the other solid silver cowrie found here in the Moneta Museum. Just when I thought that there wasn't another cowrie type and material to be found, I lucked on to this one by way of the Czech Republic.